Southeastern Specialty Underwriters has specialized in meeting the insurance needs of the Public Transportation Industry ,Trucking Industry, and Small Business Owners since 1992. Whether you are a public transit operator, charter bus operator, limousine or van service, trucker, or small business owner, we can help design an insurance program that fits your needs. We are dedicated to meeting the needs of our customers and we pride ourselves in providing our customers ‘service with a difference”. Let us see if we can save you money! 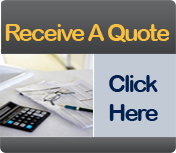 Just click on the online quote request and we will start the process. We also offer very competitive pay plans.